Penny Rose Fabrics, Bunnies & Blossoms by Lauren Nash. 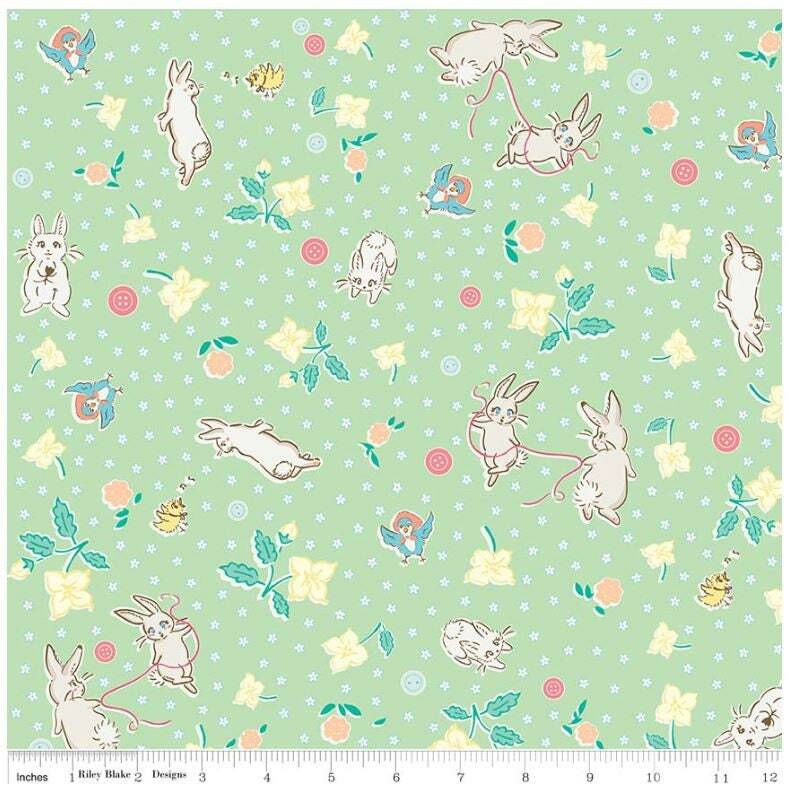 Pattern RB6990-MINT, Mint Bunnies Main. This print features frolicking bunny rabbits and flowers.